Take orders, but then user-friendly and efficient way. Do you want to serve your guests quickly and effectively and thereby use your staff efficiently? You can achieve this in a modern and user-friendly way via the MynOber Handheld app for the hospitality industry. The MynOber app is also available as a wireless and mobile order terminal for your service staff. With this, the waiter can deliver the guest orders directly to the bar or kitchen in a fast, modern and user-friendly way. The app also offers useful information, such as the prices of drinks and dishes or the total amount of an outstanding bill. This wireless order terminal allows your turnover to increase by 30%. Research shows that a wireless terminal, such as the MynOber Handheld app, is a small investment that can be recouped in the short term. Because of the ease of ordering and the higher efficiency, the turnover increases by up to 30%! Also errors in the order, and subsequent costs, occur considerably less. The Handheld app is fast, clear and user-friendly so your staff quickly gets used to it. How does the Handheld App work? The Handheld app for Android and iOS is linked to the cash register system of Carian. 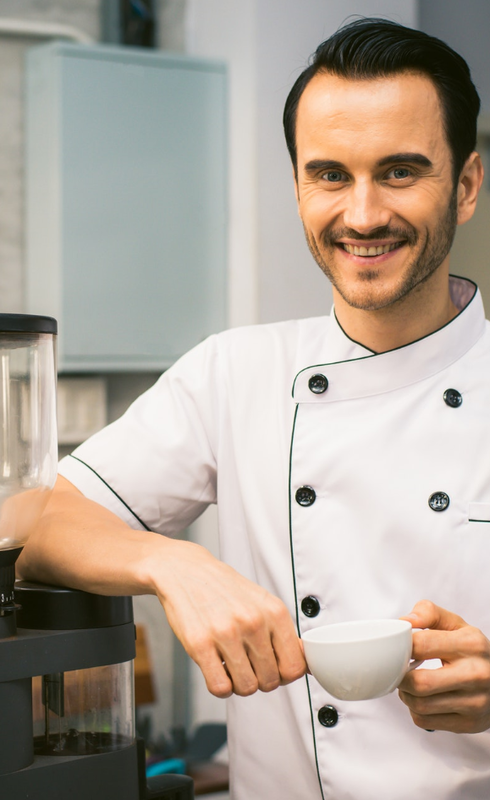 The Handheld app is directly connected via the internet to the bar or kitchen and your cash register system from Carian. This allows the bar or kitchen to start immediately and the order is automatically entered into the cash register system. Your waiter then has to walk back and forth less and doesn’t have to do double work. Your guest therefore benefits from a fast service and mistakes present in orders are no longer present. The Handheld app is available on all common tablets and smartphones with Android or iOS in all formats. Think of a Samsung, iPhone, iPod or an elegant iPad mini in a special waiter pouch. You can also use the app on a device with IP-67 certification that is protected against dropping, bumps, water and dust. You first choose the device and format that you like and then install the app via Google Play or the App Store. The MynOber Handheld app from MynOber is easy to combine with the Order app, Order column or other services from MynOber. Your guest can therefore always choose between ordering him/herself or ordering via the service staff. With this you give your guest the ultimate freedom of choice and the best experience. Because all orders always come directly into your POS system, you always keep the overview without extra work or costs. Looking for a versatile, user-friendly and affordable handheld app? Submit your details via the form below and receive 3 free offers from different suppliers. You can also contact us via tel. +31 (0) 85 - 888 07 56 or e-mail info@mynober.nl. We will gladly tell you more about the handheld app.